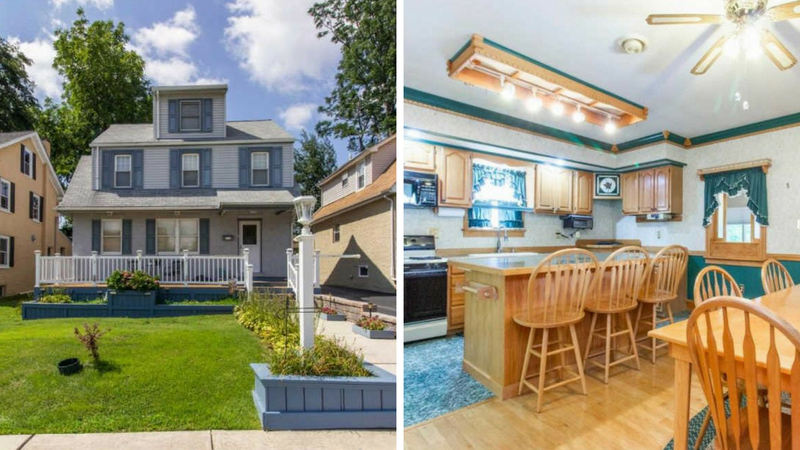 The Home Experts For You Real Estate Team at Keller Williams has a single family home listed at 143 East 14th Avenue in Conshohocken (Whitemarsh Township). There is an open house at the home on Sunday, March 24th from 1:00 p.m. to 3:00 p.m. Location, location! This 4 bedroom single, nestled in Whitemarsh Twp & in Colonial school district, is just a short walk away from popular Fayette Street, Parks and Public Transportation! From the moment you approach this beautiful home, you’ll find a welcoming front entrance with large porch, custom flower boxes & built-in solar lighting. Step inside to the charming living room complete w/ gorgeous woodwork & gas fireplace. The woodwork you see in the living & dining room was salvaged from the former Irey Mansion, Roselawn Estate in Douglassville. These finishes are far from cookie-cutter that you won’t find anywhere else! A cozy office/reading room features a beveled glass door for extra privacy. Continue into the sun drenched dining room with Pergo flooring and easy access to the kitchen, making entertaining guest a breeze! Get ready to whip up holiday feast this year in your fully custom, country kitchen with 9 ft ceilings! Custom crown molding, huge center island w/additional seating, custom cabinetry and farmhouse sink are just some of the unique features. Appliances include built-in dishwasher, micro. & gas cooktop range. You’ll love the pantry room. Used as a 1st floor laundry room w/ powder room, this can be converted back to a huge pantry if desired. The spacious family room addition was added in 2012 and is the ultimate TV/media room! A wall of windows provides views of the backyard and built-in cabinetry is perfect to utilize as a dry bar or extra storage. There is a custom TV built-in & surround sound speaker system. For added convenience, a newer powder room was installed. The backyard entrance leads you to the side deck and level backyard. A SunSetter awning has been added for extra shade on hot summer days. The huge detached garage sits next to the alley and includes a 1 car garage door. Currently being utilized as a heated workshop with electricity, this provides all the storage space you can dream of without taking up space in your finished basement. The bsmt includes a wet bar, a full bath w/shower & its own private entrance. After a long day, retire to the huge master suite. Vaulted ceilings & custom cherry cabinet doors compliment the antique mantle surrounding the gas fireplace. The dressing room features excellent closet space, a whirlpool tub & separate stall shower and vanity. Two spare bedrooms are located on this floor & share a large hallway bath with shower/tub. The 3rd floor has been completely refinished into a 4th bedroom! This home as an updated price of $439,000. For more information or to schedule a tour contact (267) 277-2405 or Info@HomeExpertsForYou.com.